Hidden in a land wrought with skin-deep irony and nauseating trust-fund-bohemian hipsters lies a little haven of sincerity and truth. 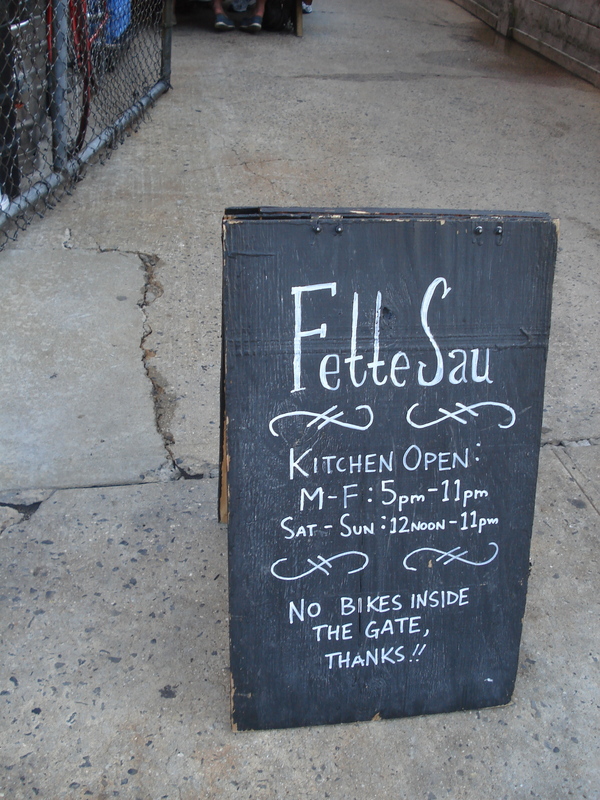 Fette Sau in the heart of Williamsburg is definitely a win, with a fairly digestible value-quality ratio. The atmosphere is exactly what I’d expect/hope for – relaxed open-air vibe with communal picnic table seating, but with a hip sophistication that is pure Williamsburg. Offering six meat options nightly in counter-style service, this is one of the more authentic places I’ve been to so far in New York. I definitely appreciate being able to pay by the pound for getting the most variety on my limited budget. I tried 1/4lb of the pork shoulder and 1/4lb of their pastrami. I’d never seen pastrami at a bbq place before, but it was the closest thing to brisket they had available on the particular night I came. 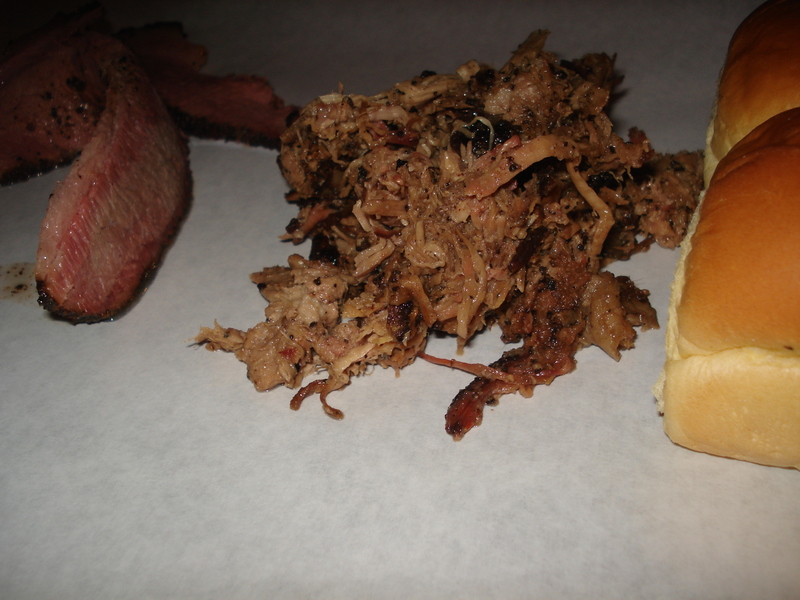 The pork was fantastic – not so smokey or pink like Dinosaur but texturally satisfying and very flavorful. And at $16/lb its reasonable enough. The butcher was generous with the portion as well. The pastrami was good too – a little bit saltier and tougher than brisket should normally be, but ultimately satisfying after covering it in sauce (like most things in life). I’m curious as to how theirs is prepared compared to some of the NY Style delis. 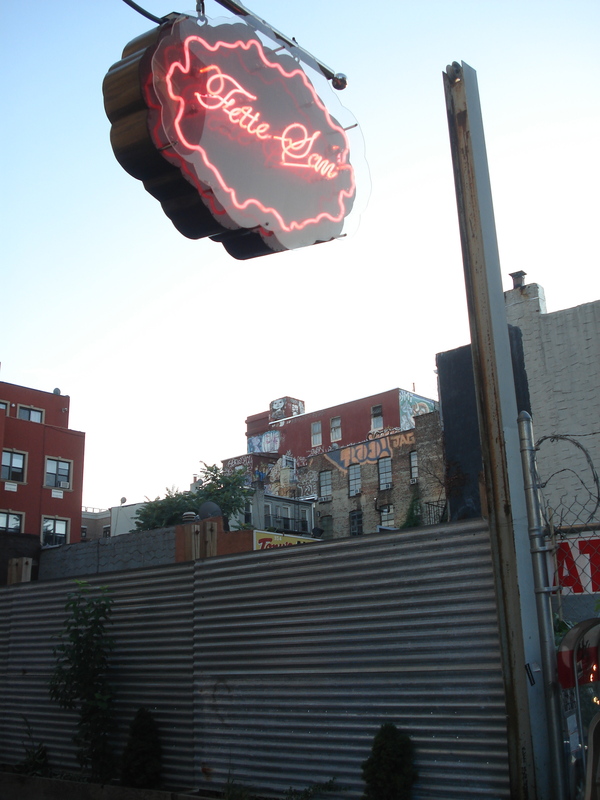 Maybe pastrami is NYC’s true regional BBQ meat?! Fette Sau offers three table sauces – original, pasilla chile, and vinegar. The vinegar was lackluster, but the other two were standouts. The original was well rounded – not too sweet and not too tangy. The pasilla was extreme spicy in a dry smokey pungent way. Its definitely a sauce I would keep around the house and use on everything. There was also a really good spicy brown mustard on the table that perfectly complimented the pastrami and pork sausages (that I didn’t try). I had heard good things about the pork belly – and its generally one of my favorites. But it was on the bone and only sold in one rib increments – meaning the smallest portion available was about a pound. Plus, you’re paying for the weight of all that bone! Had I know the deal before I ordered I would have probably split one with my companion in stead of counting on trying his, but he decided to go with the pork shoulder and boneless beef ribs. The ribs were outstanding and really gave a different perspective on a great cut of meat when you don’t have to navigate the huge bones. 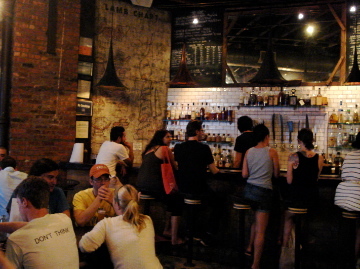 I should also mention that the place has a great American Whiskey and local beer selection. Beer is available in growlers for a decent-high price. 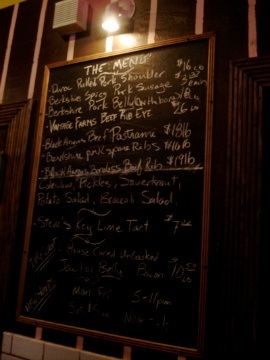 I saw this place on TV… definitely intrigued by the pork belly. Yeah me too! I had some amazing pork belly in Louisiana but I’ve never had it on the bone like that. I just don’t want to pay like $16 a pound if there’s hardly any meat on the bone. I don’t know… I thought it was overrated. Good brisket, mediocre sauce, dry uninspiring shoulder.